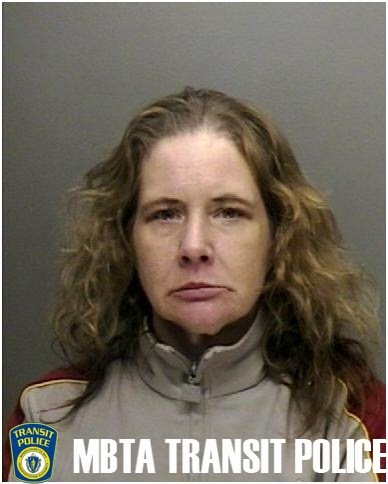 On January 24, 2014 at approximately 12:30 pm Transit Police detectives did place Laura McNally, 42 of Revere into custody at the MBTA's Chinatown Station after she sold/distributed a Controlled Class E narcotic/substance. McNally was also in possession of numerous other controlled narcotics for which she was not properly prescribed. McNally was transported to Transit Police HQ for the arrest booking process. During this time it was discovered there were two warrants in existence for McNally's arrest issued from Chelsea District Court for Larceny and Trespassing. It is expected McNally will be arraigned sometime on 01/27/2014 in Boston Municipal Court-Central Division for violation of the Commonwealth's Drug Laws.